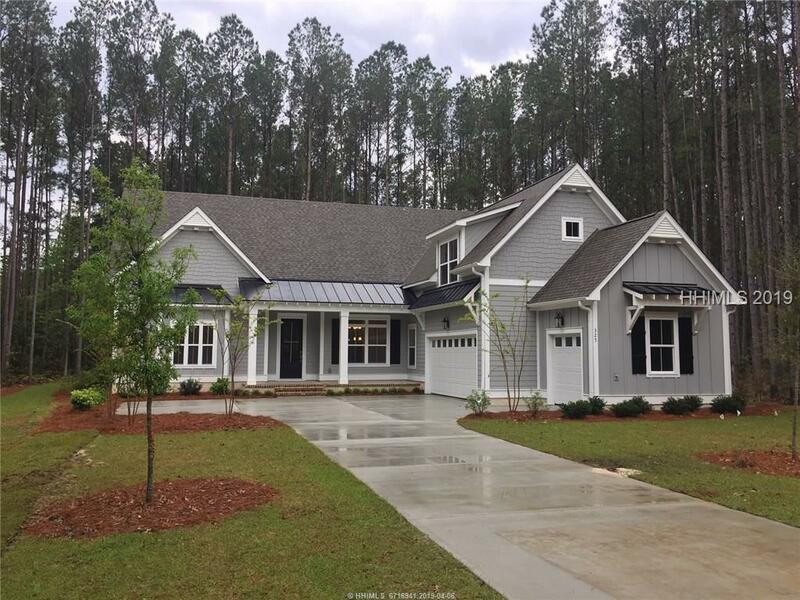 New 3 BR, 3.5 BA, formal didning, study, golf cart garage and unfinished bonus room. Open family rm. 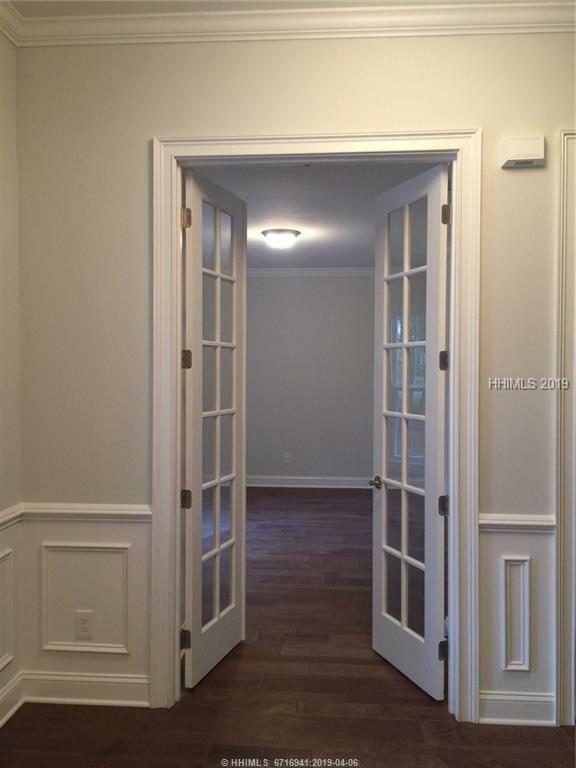 w/coffered ceiling, telescoping door onto covered porch overlooking private, wooded home site. Built-inappliances, Quartz countertops, white cabinets, glass subway tile in herringbone pattern completes this kitchen. 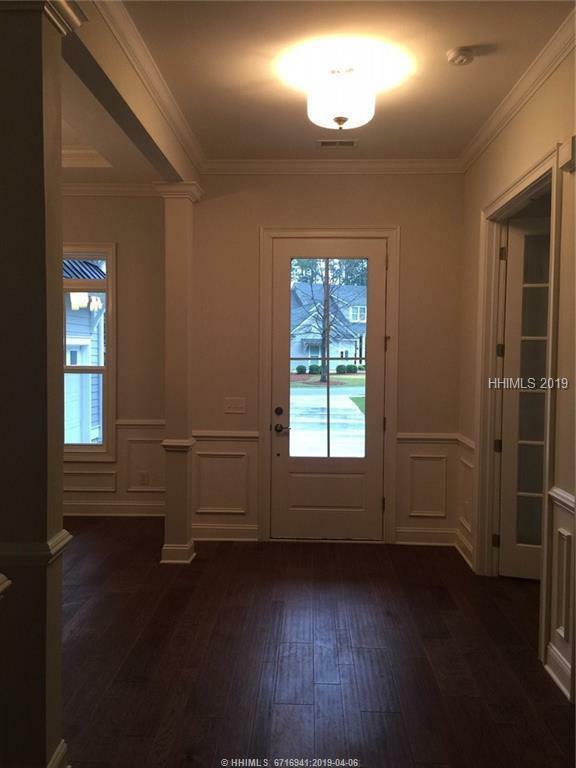 Master BR w/ "His" ad "Her's" WIC, tiled shower, granite countertops & soaking tub. Secondary bedrooms with private baths. 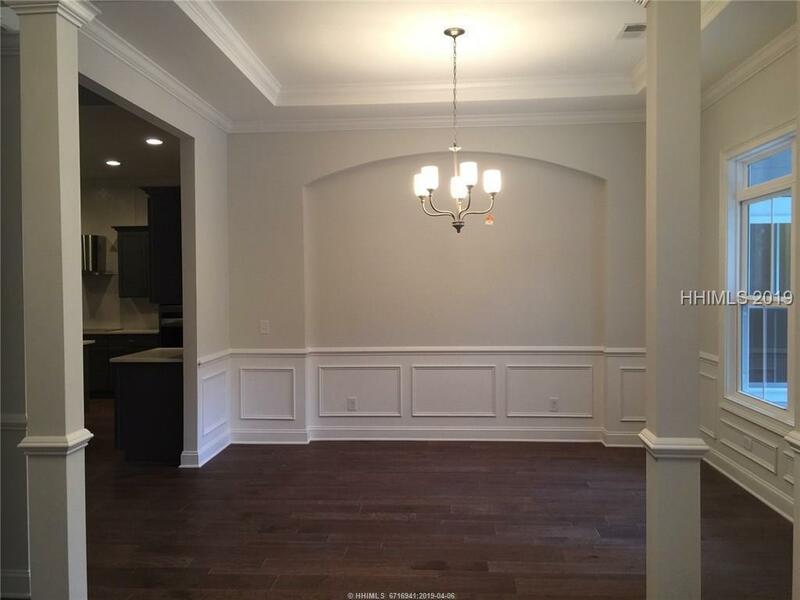 Unfinished bonus room is great for storage or future expansion. Hurry to make some interior color seletions.